You are here: Home > Stacy's Journal > Stacy’s Workout Journal Begins . . .
I’ve been a little quite on the blog lately due to spending some time figuring out my home routine and priorities. I’m so grateful to Emma for continuing to post regularly. She is a passionate little thing, yes? I couldn’t ask for a better sister. OK. So, let’s get to it. I want to post in this journal on a regular basis. I’d like to share what I’m doing health and fitness wise. So that means, what I’m eating and exercises I’m trying and any other mental stuff that comes up when doing either of those. 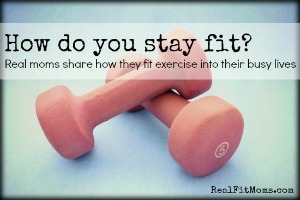 Striving to live a healthy and fit life is a complicated mess sometimes. As someone who is interested in fitness, I love to read what others are doing. Maybe you’d like to know what I’m doing, too? If not, skip over my journal posts! Journaling also has the added benefit of keeping me accountable. So, here goes. My first entry. Well, it’s kind of a pre-entry, entry. Up next, why I joined the gym (I hate gyms! ).